Follow @mcphoo Tweet Lower loads and higher reps can rebuild strength. Doing those loads with (a) focus on quality eccentrics (b) tempo and (c) a simple grip element like Fat Gripz seems to help accelerate recovery. I should say also that i've had fat gripz in my bag for awhile. Simple Strength Monk of the North Rannoch Donald first brought them to my attention, and lots of folks testify to their awesomeness, so i've been waiting till i could find a b2d angle for 'em for those of us who mayn't be using the Big Bars all the time. And i think i have. Here's what i've found. (Just skip this section if you want to get to the How To, below) Some of you may be aware i tweaked my shoulder awhile ago which rather put my usual shoulder activities, like single or double kettlebell work, out of action. Quel Drag. Even pull ups were not such the Happy Place. Finally, though, my shoulder's been feeling ready to explore some load. So i've been coming back into Pavel's Return of the Kettlebell - a lovely protocol for double kettlebell work. Of course i'm having to swallow that the place i'm starting from is further behind where i was at just over a year ago now, when i'd finished up 6 months of RTK with the RKC II certification in San Jose. Happy times. keep going till down to about nil load. I've written abit the value of tempo beyond hypertrophy before, too: tempo stimulates different muscle patterns. Lighter let's one go faster, too. Speed is important even for big lifts. To know speed we must practice speed. Etc etc. Lower Loads with Higher Volume not only give speed, but build strength. 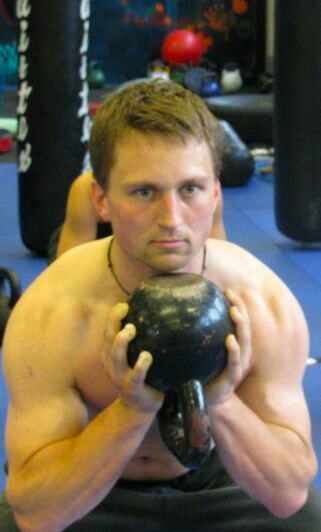 I've written about this going light to get heavy (inspired by Asha Wagner's conquering the Beast Challenge); dan john talks about this approach, and preaches it as part of Pavel's even easier strength (40 days of low load AND low volume, done every day). Right now, as said, i'm working on Pavel's RTK protocol which means being pretty humble with my strength work limitations on bringing back my left shoulder. So the low load work i'm describing is as an arm + light shoulder finisher. I have *not* done the following as a stand alone routine. Originally when i ran this finisher post RTK, i'd just grab a couple of powerblocks, and do sets of biceps curls, overhead triceps curls, and shoulder raises. The ritual was just to keep up a crisp tempo, dropping the load about five pounds each set to keep the tempo. I wasn't too focused on anything other than getting the weight up quickly, and keeping the tempo; quitting the set if the tempo dropped before i got to the goal number. on the overhead triceps curls, i was finding that my usual load for the left side, just couldn't happen at speed with good form. Bummer. How go that much lighter and still get work? Second: i found my eccentric. Somehow - and this may sound like "duh" to many of you - i started contracting on the eccentric. And found "the money" - at least for me. What i mean is, that, while keeping the tempo of the speed up especially for the curl in, rather than just rushing the arms down (overspeed the eccentric, as it were), i focused on keeping on a contraction while going into what feels like more of a forced eccentric. And my GOSH that's WORK. oh wow. IT's even work *without* load - it's like turning isometrics into movement. Now, "focused eccentrics" may be just basic to some of you, but i have to say, i haven't come across work that has said focus on holding the contraction in the eccentic. I have heard about "lower slowly" - you know, rip the bar up fast, but slow it down coming down. I've done all that. Lots of us have played with that. But that slow lowering - for me anyway - has never resulted in the same effect or feeling as visualizing the muscle and focusing on *it* staying contracted and feeling that contraction throughout the lowering of the weigth - and certainly not when doing this at any kind of speed/tempo. In other words, rather than thinking "keep the bar going down for a three count" it's "feel the biceps contract at the top and keep that feeling while prying the joint open - fast - but keep the muscle ON for the whole movement" For me the mental focus has had a really intereting effect. Remember, i'm doing the following AFTER i've done a whole workout of double kettlebell presses, squats and deadlifts. So my grip's been working and so have my arms. And i just want to get a little bit more. I start with a weight where i can do 20 reps at a pretty good clip and maintain that tempo throughout the set. NEW BIT: hold that contraction while pulling down the load - so pulling against myself is what it feels like. Mentally, i'm focusing on feeling that muscle contraction through the whole eccentric. So let's just call these "focused eccentrics." Drop the load whenever i can't complete the 20 at that pace. For me that's just about each set i'm dropping five pounds. Fat GRIPZ. When i'm down to five pounds - where i have a pair of five pound db's, i have the fat gripz on these (pictured) - makes 'em look a little more serious, eh? Here's the fun part: just try keeping that contraction in the eccentric with the fat gripz on the five (or whatever load you'd like for your light 'bell(s). Extensors for free: why that's a good idea. Oh wow, i tried to make a cup of tea for myself after this and trying to pick up the tea kettle was an intriguing challenge. Like said, the fat gripz work the extensors practically without trying. This extensor work is great: generally speaking in kb work or barbell work, we work focusing on a neutral wrist, closed fist. This kind of grip privileges the flexors of the hand/wrist. The antagonists of the wrist - the extensors (the top of the forearm) don't tend to get as much work. Extensor Muscles in the forearm. Get your Fat Gripz on. The fat gripz ensure that *while gripping* which is a flexor movement, we can't close our hands in such a small grip, so with the fingers open a bit more, we're actually drawing on the extensors, the antagonist muscles to the flexors (same as triceps are antagonists to biceps). This wider grip work offers, one might be tempted to say, a more balanced approach to grip work since it hits agonist/antagonist at the same time (if not exactly to the same degree - it's still a work out), and that's a Good Thing - especially is one does a lot of typing/knowledge work stuff during the day, too. grab a pair of dumbells that lets you do 20 reps - and just about only 20 perfect reps - at a nice tempo. At the top of the rep (in the curl), do what strength coaches have recommended for ages: give a squeeze - just don't let go of the squeeze as you extend your arm: keep the squeeze on during the eccentric contraction of the muscle (while the arm is extending). Just see how that feels after doing even one set: do you feel the muscle any more keenly from that concentration? Does it feel like real work towards the end of the set? And as said, if you like this movement, and want to make it even sweeter, git yourself some Fat Gripz, and take your whole arm/shoulder to the next level. Summary: Enhanced Muscle Activation/Strength from FOCUSED Extension - with Fat Gripz can be achieved with tempo, low loads and some volume. That focused eccentric CONRTACTION into extension is the money. Add the fat gripz, seems pretty golden. 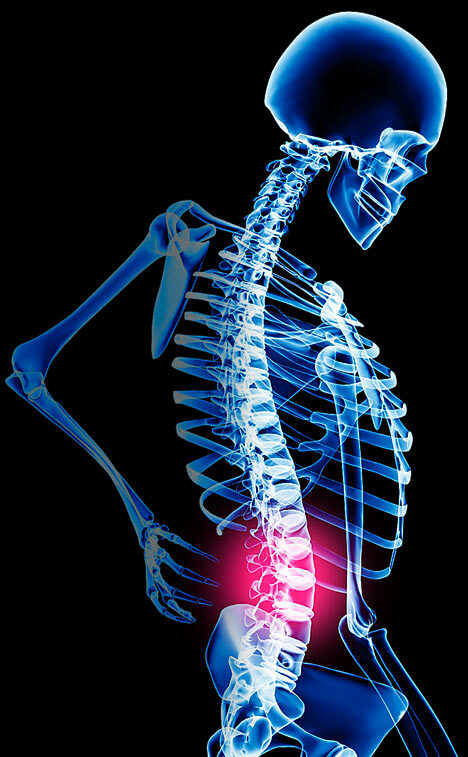 Visualize the muscle holding the contration while extending. Pump Bonus? Ok i confess: i also measured my arms before and after doing a few of these sets. For those folks who like the Pump (overviewed here), i was not displeased with the effect. If fact i was kinda surprised on the difference between (a) first focused eccentric vs just tempo and (b) focused eccentric + fat gripz vs focused eccentric alone. In other words: bigger with focused eccentric; even bigger with fat gripz + focused eccentric. Why FG's? I'm also happy to recommend Fat Gripz because in my experience of the company, they really care about customer satisfaction. As in, they will work to make sure you are satisfied with service and product. For folks in the UK, nice thingtoo? they have distributors here, so no outrageous markup on shipping. Please let me know if you give either the focused eccentric or focused eccentric + fat gripz a try and what you find. Should i do this next rep? Follow @mcphoo Tweet Welcome to Part II of the b2d interview with physical culturist and trainer Dennis Frisch of Denmark. In Part 1, Dennis talked about not only what draws him to bodyweight work, but why/how this approach has become his main training program. Dennis also offered some insights into getting started thinking about a bodyweight approach. Two of the things from that interview that struck me is that bodyweight work is skills based, and that one give themselves time (months and years) to develop that skills base. In this post, Dennis covers three things: a sample bodyweight program, a way to think about developing a one arm push up, and a few additional bodyweight resources. Enjoy. Dennis, in the last segment, you mentioned that you use bands [eg like iron woodies ]with your bodyweight work. Could you say a little more about that? I use bands in a variety of different ways. 2) Horisontal loading for compound exercises; think of peg board [a z-health i-phase drill - mc], judo throws, punches etc. 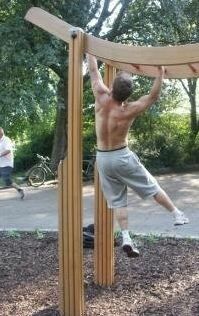 3) Taking load of bodyweight exercises, i.e. one arm chins, levers etc. 5) Loading micro-exercises, i.e. when I am working on the one arm chin I will take a very light band a use it to load different positions of the motion. This is a nice low threat way to practice challenging exercises. Super cool. So let's get applied. Let's kick it up to what folks are keen to get into: what are ways that folks might get started with a bodyweight program? Wave the load so that you familiarize yourself with heavy singles and doubles as well as strength-endurance work in the range of 15-25 repetitions. 2-3 times a week "energy system development" aka intervals. Combine this with a dynamic mobility protocol and you are good to go [one might think about Z-Health Neural Warm Up 1 (discussed here) as such a mobility protocol -mc ] Use it as a morning recharge, a warm up or just practice your mobility through the day. So bottom line I guess is that bodyweight skill/strength building doesn't have to be all that different from regular strength training. Another approach would be a less "digital" program, where you choose your skills and play with them as often as you like for as long as you like. From a motivational/habitual standpoint that is probably a more challenging approach, but when you are used to training daily and you enjoy playing with movement it gets addictive. Are there other resources in bodyweight skills you'd recommend? With the one arm push up a lot has to do with the set up. Placing your hand in the right spot and getting the right amount of stability. Progressions would be to simply practice a one handed plank isometrically. Then simply practicing lowering yourself slowly to the ground. Then practice isometric holds throughout the range of motion. Then maybe try and do push ups in a limited range, start by unlocking and unlocking your elbow, and expanding from there. I find that the one arm push up is more of a kinaesthetic exercise than merely adding as much tension as possible. As with the behavioural side of training, I generally try to help people realize that what they are really after isn't a skill, feat or attribute as much as it is a way of life. So maybe you want to loose a few pounds or learn how to do a hand stand, but why do you want those things and how will it affect how you and others perceive you. Spending a couple of weeks to learn a cool skill is great and fun, it just makes it a lot more fun and worthwhile if that goal is just the beginning of something much greater; a life long exploration of physical living. And you can contact me for private coaching, seminars and the like using dennisfrisch at gmail.com. Thank you again, Dennis, for taking the time and sharing the knowledge. Any gals starting a one arm push up quest? please post below, too. How's it going? whatcha been doing? Also Dennis says as he gets some time, he'll try to get some vids done - as he does, we'll post 'em here. Follow @mcphoo Tweet Dennis Frisch is a lovely person. On top of that he moves very well, is very strong, moves with grace between walking on his hands to moving through z-health mobility drills, to shinnying up a rope. Throwing kettlebells and pulling deadlifts is also in the repertoire. But what inspires me about Dennis? Besides the fact that he's super nice and coaches with ease? I'm 5.6. Dennis shows me that even someone my size (relatively speaking) can be great. I've encountered Dennis at various fitness workshops, certs over the past few years, and i'm always impressed by the quality he brings to the occasion and how inspiring just his goofing around is at breaks: he'll be leaping between pull up bars or hand balancing or grabbing a barbell, just moving moving moving. During a z session in denmark, eric cobb asked him to strike the pose: take up a z I phase drill in lunge position. It was text book. I'd also learned he's helped gals master the one arm push up - more on that in part 2. Indeed, my sense is that Dennis has been moving increasingly into bodyweight work not just as a workout but as a way of life. Bodyweight work is something i've been wanting to understand more lately, too. So thought you might enjoy connecting with the expert about why bodyweight. Dennis, what built the body you have? Well, a combination of bodyweight training and weight training. I have done both extensively for the past 10 years. I have focused more or less on one or the other from time to time. As I have progressed through my training I have found that I can rely more or less exclusively on bodyweight stuff combined with band work. 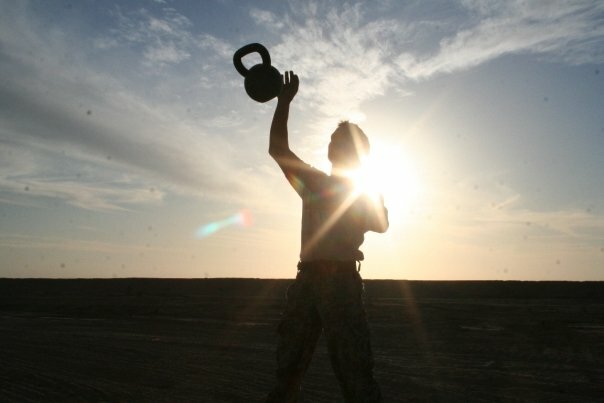 I lift kettlebells, dumbbells and barbells from time to time, mostly to work on technique or check up on strength levels. Where would you suggest someone begin who may already have some experience of working out with weights or some sport, but where to begin thinking about bodyweight work? what do you mean by this concept? That depends entirely on their definition of bodyweight work an what their goals is more specifically. I like to think of bodyweight training as fundamental movement skills, meaning being able to climb over something, support my bodyweight on my hands, push myself of the ground, roll/tumble. Most people would do well to familiarize themselves with basic variations of push ups, squats, hand stands, crawling, dips, rolls etc. When you are comfortable with these skills, bearing in mind that it may take several years, you can slowly progress to exercises like muscle ups, walking on you hands, hand stand push ups, jumping etc. Exploring activities like gymnastics, parkour, wrestling and other martial arts will also quickly expose you to these exercises. Why has bodyweight become such a key part of your practice? Since I was a kid I've loved climbing, tumbling and the like so I've always had a talent for things like pullups and push ups. 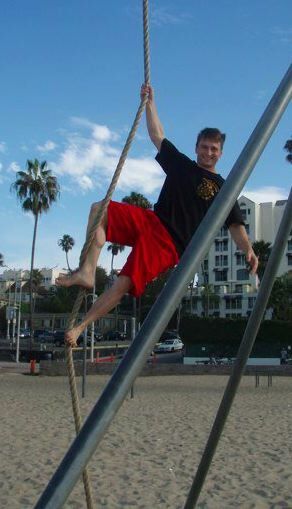 When I joined the army I was exposed to these exercises as part of the training and being good at them sort of motivated me to do them even more, so I climbed ropes and the like for the fun of it. These days it is simply very convenient to always be able to train, since I have a family including two small kids, studies and a business to run. Being able to train on a few square feet without equipment makes it easier to get the training sessions into an otherwise busy schedule. From the logic that a good training session done is better than a perfect one not done, I would of course do better with access to a well equipped gym every session. 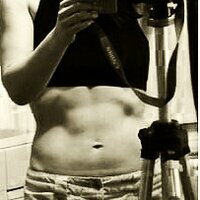 To sum it up: I like how it feels and it is a very convenient way for me to stay in shape. Depending on the previous experience of trainee my suggestion is to find a skill that one finds fascinating/enjoyable and begin from there. Do you think hand stands are cool? Great, now look up resources on how to get there. Try this one on for size: Start at a level you find doable but challenging. It might be a hand stand supported against a wall, or a pike pushup Like this. Practice this as often as you can and enjoy. Slowly you will be able to go towards more advanced variations. I believe it to be important to practice with the intent of owning/mastering the skill, thus not rushing towards it's completion, rather taking the time to polish each level. For me that is probably the hardest part. In the end it saves you tons of trouble, even if it requires practicing patience. What's your own background in this kind of work, Dennis - do you have any formal gymnastics or parkour training? I dont have a gymnastics background outside of two courses at the Institute of sports and exercise science. 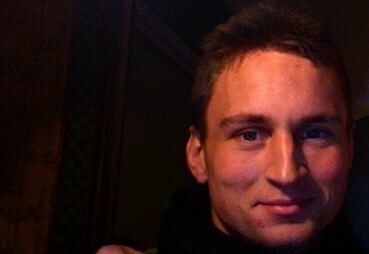 I have participated in some parkour courses and have the mobility/bodyweight training courses from Steve Maxwell and Scott Sonnon. So I am not completely self taught. That's really cool, Dennis. What's a typical day for you, training wise? Since I have my hands full with school, work and family these days I tend to fit some movement in where I can. At the office we have a pullup rack, floor space and a load of bands, so I usually take short movement breaks, where I do some rolls, practice my hand stands and work on muscle ups. Outside the office there is a patch of grass 50m long, so on a really good day I will do a 20 minute sprint/agility session before the work starts. I have had reasonable success with getting up before my family wakes up, getting a good session in. I like working out early, especially outside. Right now the challenge is that my oldest son will wake up if I get out of bed and will want to come along, which doesn't really work out that well. Ideally I would love to train some sort of gymnastics and/or martial arts every day, preferably under the supervision of a coach or even just with a regular group or partner, but these days my priorities are family and school. My perspective on training is a lot more long term than just the next 6 months. I've found that I am a lot more satisfied with my training if I visualize myself training as 60+ man, being able to wrestle, run, climb and play with my two grown sons. That means to me that the most important thing is to keep moving, avoiding serious injury and keep refining and learning skills. To build on that is a newly engraining habit of training/practicing every day. See you in part 2 for program ideas.